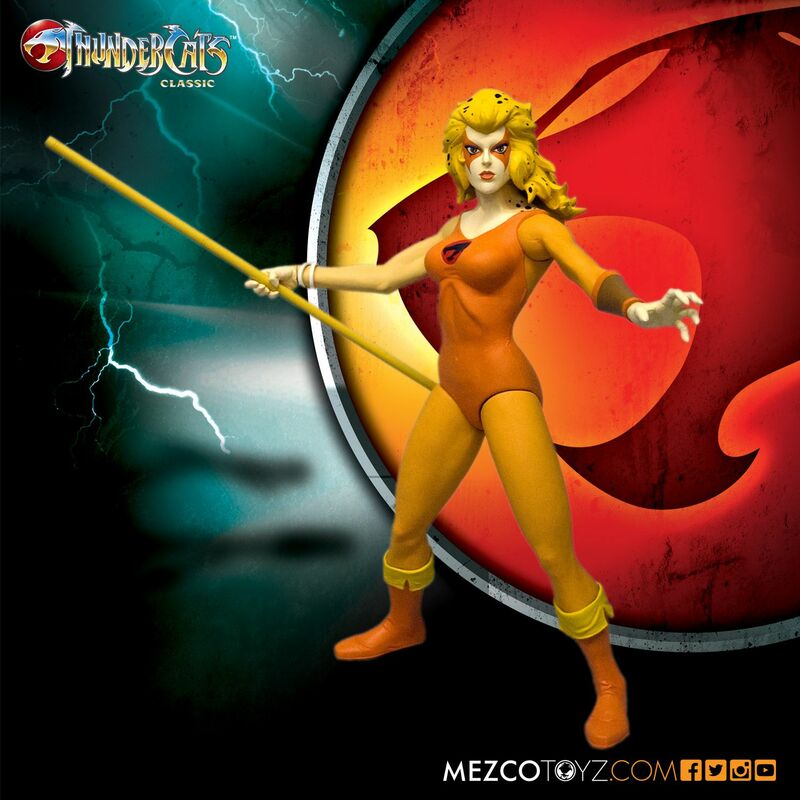 THUNDER, THUNDER, THUNDERCATS… oh, you’re nearly all here! As much as we all love Transformers, it wasn’t the only show on in the eighties. In fact, for me Thundercats definitely takes the price for best opening sequence of an eighties cartoon. If only the rest of the 20 minutes could have kept up that pace and animation quality. 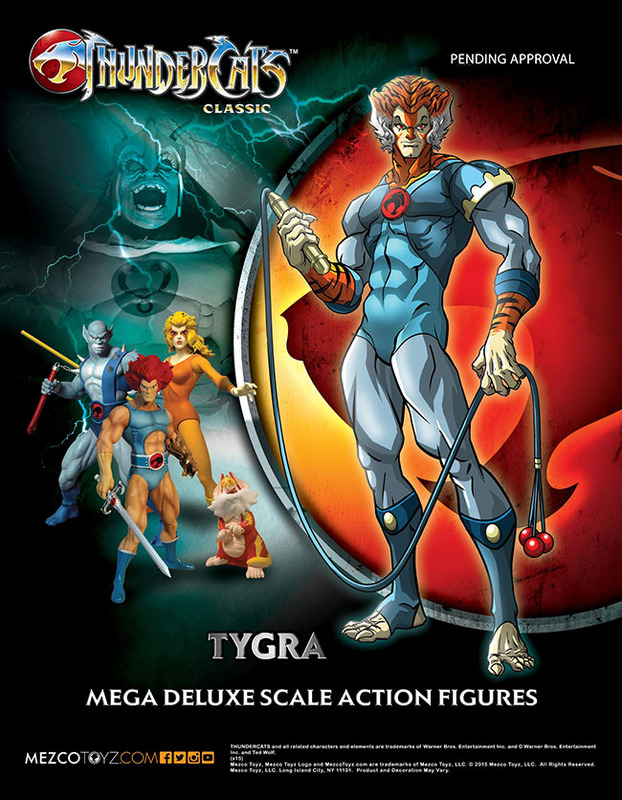 I’m not a huge collector of Thundercats by any means, I enjoyed the Marvel UK comics, and the more recent Wildstorm comics at the time, but I think I’m one of those people that liked the concept and designs more than the actual show itself. As such, I’ve never collected the original toys, but I’ve been holding out for some excellent renditions of the classic characters. Enter Mezco. 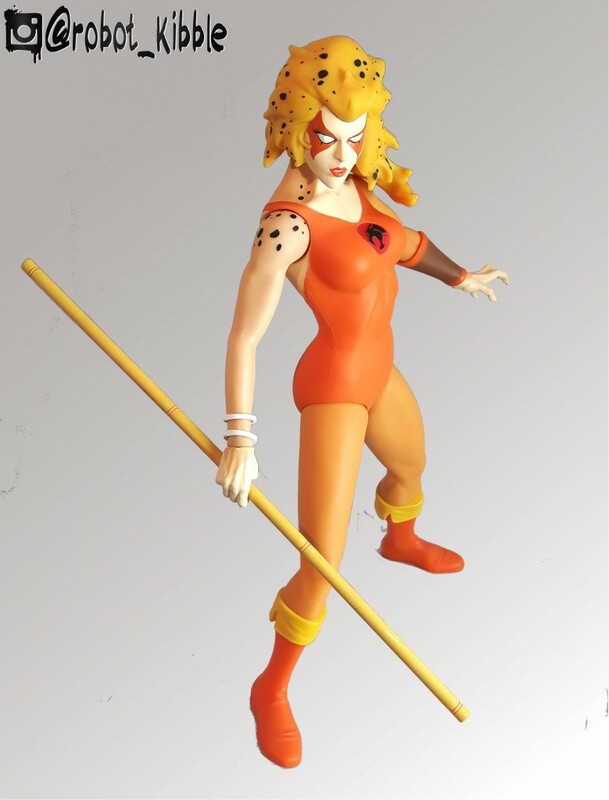 Or should I say; MEZCO… HO!!!!!! 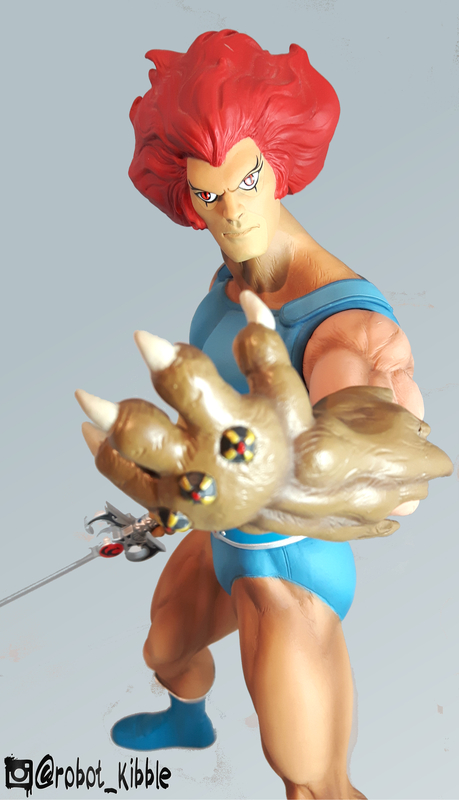 The leader of the Thundercats, as a juvenile trapped in the body of a man, Lion-O took the burden of leadership in what should have been the ultimate coming-of-age story. I’ll be honest, as a kid I never picked up on the fact he was a kid, but I don’t think I ever saw the pilot. 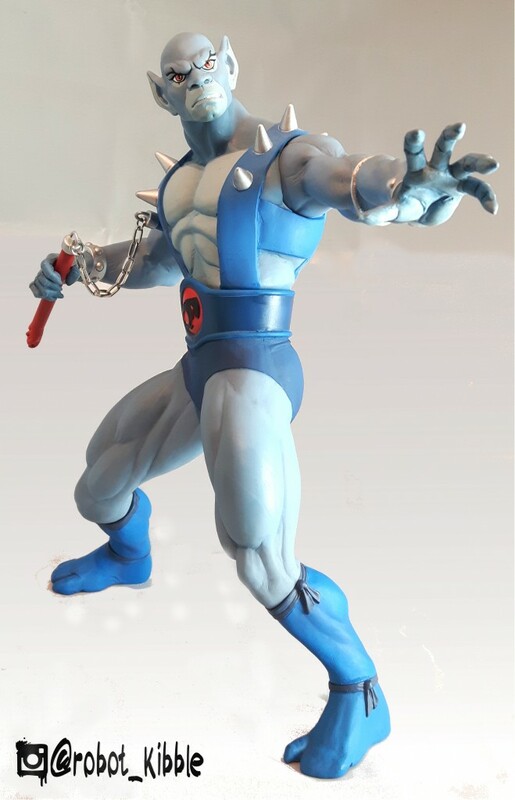 The Mezco figure is stunning, and comes with his claw hand and Sword of Thundera. If he raises the sword above his head, the entire piece is nearly 20 inches tall! 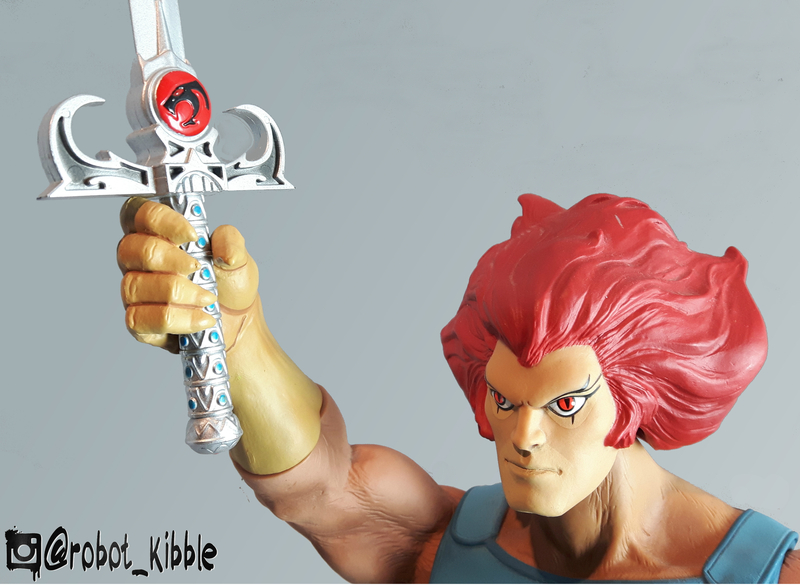 All the Lion-O you’ll ever need (unless you’re re-flooring your kitchen). Now in stock and available here. Ah, the obligatory annoying 80s mascot. Alongside Slimer, Orko, Snarf was one of the more annoying, second only to Scrappy Doo perhaps. It makes us realise that Bumblebee really wasn’t so bad (although I always considered Spike the annoying mascot of the team). 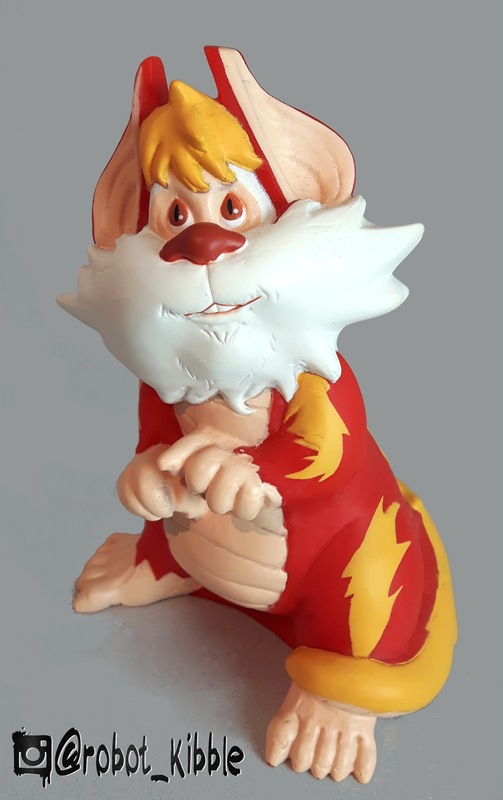 Snarf has zero points of articulation, but does exactly what you need him to; he sits there looking all slappable and like he’ll get into trouble any moment now. Snarf has been available in this range twice. 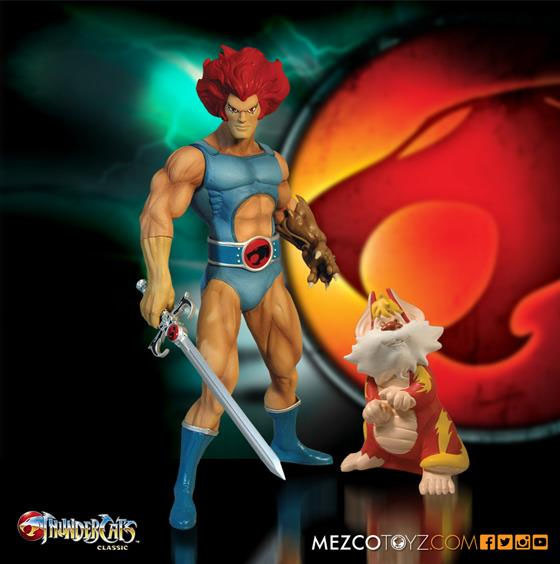 Originally, he was packaging with SDCC Cheetara, however he is also included with the recent reissue off Lion-O. 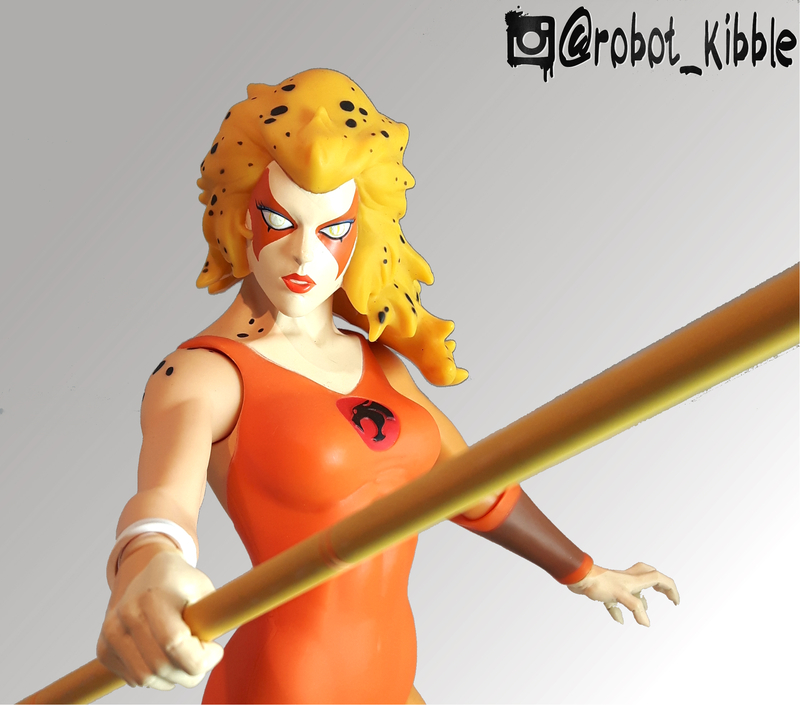 Pictured above is the standard release of Cheetara, I have the SDCC version mentioned above, so you’ll have to excuse the lack of pupils (insert forced joke about the schooling system here). If this was by Fun Publishing you’d have to put the spots on yourself. This version of Cheetara is ready to do business, with her eyes glazed over like when she’s doing her Quicksilver thing. The detailing throughout is absolutely perfect to the show design, and she comes with her trusty bo-staff, and 10 points of articulation. It’s your turn in the relay race. To me, the most competent member of the team. Sort of the entire TMNT in one when you think about it; the engineering savvy of Donatello and the temperament of Leonardo, rolled with the raw fighting skill of Raphael, using Michaelangelo’s weapons! I think this is my favourite figure of the set so far. 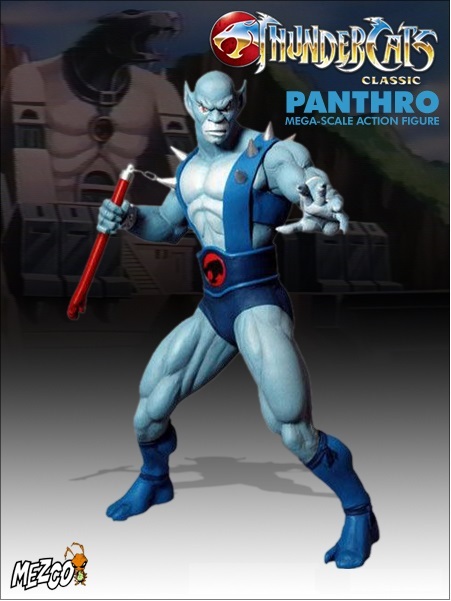 I love Panthro. His nunchucks are amazing, and with a little bit of ingenuity you can get them into some amazing poses. And just look at that face sculpt!!! Is that Homer Simpson’s mouth? 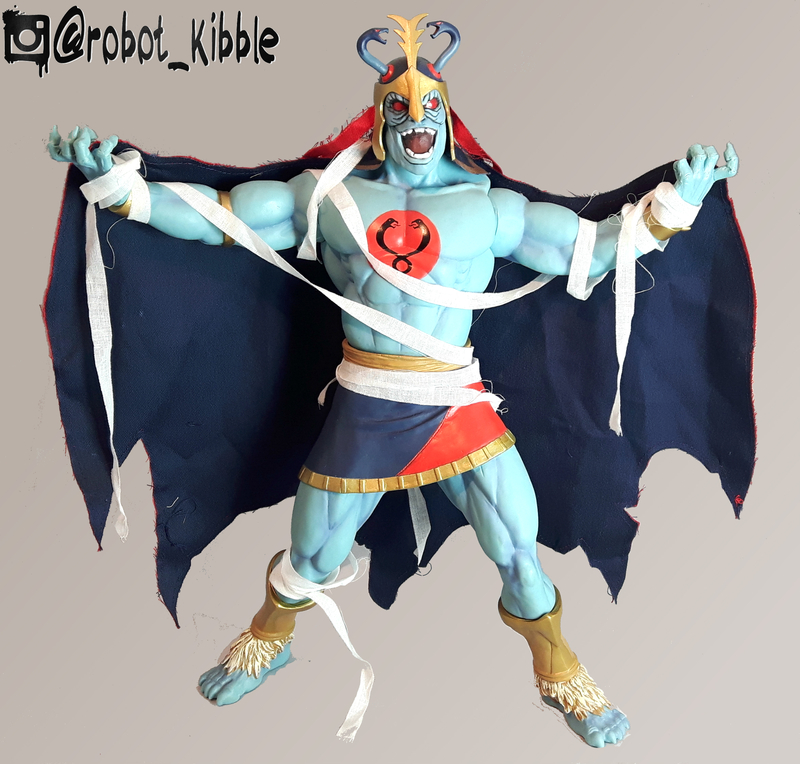 Mumm-Ra did something unique to 80’s kids cartoons, in showing a highly credible villain. 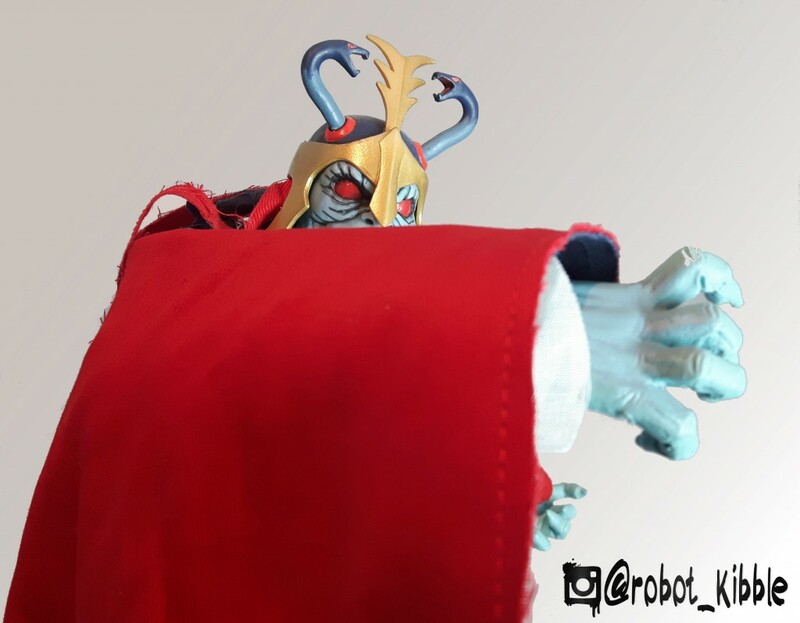 Whilst Megatron was always let down by his sub-ordinates and willingness to turn and run at the first sign of things not going to plan, and Skeletor spending way too much time relying on others rather than dealing with He-Man himself; Mumm-Ra was surrounded by idiots, but could get it done himself when it was needed. 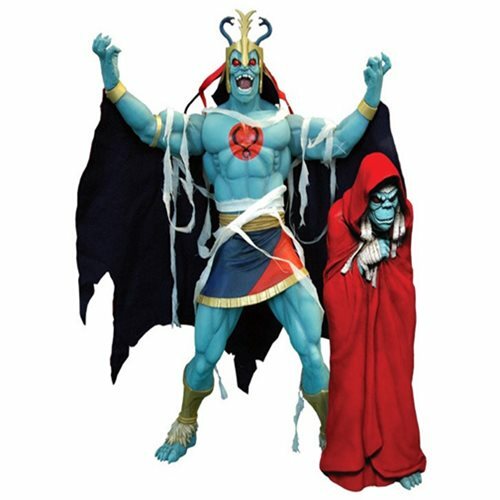 Pictured at the top is the original, and hard to find, SDCC release, which included Mumm-Ra in his withered old mummy form. Sort of fitting that it is an exclusive offer, as the original was a mail-away back in the day. By no means my favourite character choice, but certainly a very impressive and imposing figure. This guy stands over 16″ tall, and you actually have to attach his feet once you open the package, otherwise they would have had to change the packaging. If he wasn’t over-bearing enough, his real cloth cape (with frayed edging and strands to recreate foreboding transformation poses) adds to his majesty. Oozing creepy evil, this guy threatens to steal the show even when displayed behind the goodies. I haven’t received my Tygra yet so console yourself with this excellent promo material, and the fact you can get yours here, right now. Watch this space for a Tygra review coming soon, and group shots too! In the interest of fairness, I should point out that the placement of articulation on all of these toys makes for a really clean full bodied animation look, but at the expense of ease of posing. 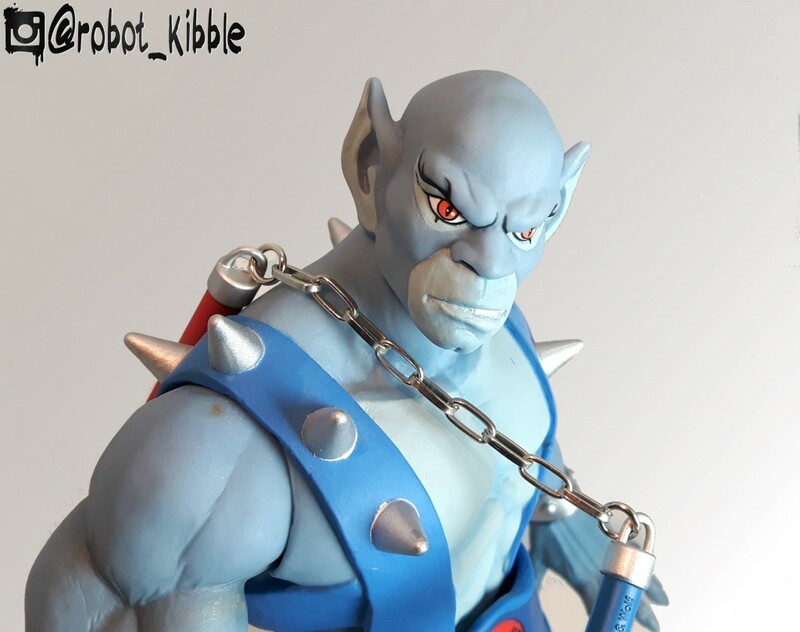 They’ve hidden the articulation in such a way that Panthro in particular is unstable, and while you can always make him look damn cool, it can limit the poses (hence me unwittingly recreating the promo photo pose above). They’re intended as display pieces, as opposed to toys, and as long as you’re cool with that going in, these are gravy. You’re essentially getting a semi-posable vinyl statue for about 1/6th of the price of your average (and very breakable) resin statue. To me, that makes these a bargain. For a full selection of Mezco products, be sure to check out Kapow Toy’s website.